Not long ago whole wheat was the symbol of healthy food. Now an increasing number of products bear the proud label “wheat-free”. For health conscious consumers, it can be confusing. But many people are discovering that they feel better when they eliminate wheat from their diets. Wheat is a major world food crop. Most bread, cereal, pasta is made from wheat flour. In addition, it is a common food additive as food starch and as an ingredient in soy sauce. Whole wheat flour is ground from the whole grain without any of the bran or fiber removed. White flour, has had all of the bran removed for a lighter, less coarse product. Heirloom varieties of wheat such as spelt, kamut, farro are now widely available. There are several theories to explain why so many people are reactive to wheat. Modern wheat has been hybridized to have very high levels of the protein gluten. This gives bread elasticity and increases shelf life, but gluten is difficult to digest and allergenic. It is also the cause of celiac disease, an autoimmune condition that affects ~1 in 100 people. Perhaps this increase in gluten is the cause. This theory is supported by the fact that many people who can’t eat modern hybridized wheat are able to eat one of the heirloom varieties such as spelt. Others believe that the amount of wheat being eaten is the problem. Some people consume wheat at every meal overwhelming their digestive and immune systems. Regardless of the reason, many people’s find that their health improves when they avoid wheat and other gluten grains. Common symptoms of a wheat allergy or intolerance are fatigue, digestive trouble, weight gain, edema, congestion and rashes. If these symptoms resolve when wheat is removed from the diet for 4-6 weeks, it is likely the cause. Luckily there are lots of alternatives to wheat. 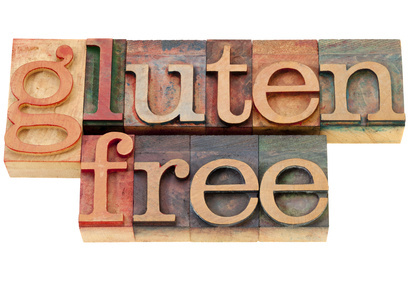 Gluten-free breads and pastas are available in grocery stores and are easily ordered on the Internet. Whole grains such as rice or quinoa can be used in place of bread or noodles in many recipes. 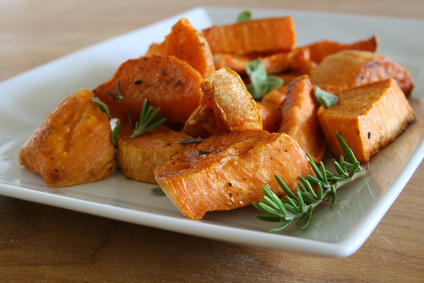 Starchy vegetables like yams or potatoes are another good option. Don’t forget, most people eat too many carbohydrates already. Its O.K. to skip the bread altogether and substitute a vegetable side dish in its place. Don’t miss next week’s blog post for some delicious, easy to follow wheat free recipes! Thanks for the awesome explanation about wheat and gluten intolerance…by the way I saw a documentary about factory farming and all the health and environmental issues that go along with it…Very scary stuff…I didn’t know that they include arsenic in the feed to increase growth…if only people really knew what was in their food. It’s called A River of Waste: The Hazardous Truth About Factory Farms. Need to get serious about raising healthy meat.